Roger Olson doesn't understand why Calvinists abhor acts of evil if they are foreordained by God. He goes so far as to say that if he held a Calvinist view of God's sovereignty, he would do his "best to push aside feelings of moral repugnance in the face of, for example, child murders, and view them stoically if not as causes for celebration." He seems to ignore the fact that if God didn't foreordain the sinful actions of man, the crucifixion of Christ could never have been God's predestined plan of salvation. At best, it would only have been one of an infinite number of possibilities. When facing tragic events, a common question is, "Where was God?" Most of us never ponder that when good things happen. John Newton on self-righteous Calvinism. Interesting fact about the apostles: "None of them believed that they had been predestinated to salvation." I guess that includes even those who wrote about predestination in scripture. Did you know that the angel who appeared to Joseph in Matthew 1 was a Calvinist? Matthew Tuininga discusses neo-Calvinism and distinctive Christian living. No matter how it's explained, I just don't understand how someone can believe in eternal security while denying unconditional election. What exactly happens to us after we are regenerated that causes us to lose our free will? Authentic Calvinism is trashing the SBC. That's just another one of Paul's passing thoughts. Horror of horrors! The Berean Call, by advertising Ray Comfort's videos, is promoting Calvinism and Lordship salvation. C. Michael Patton on how Calvinists should not respond to the tragic school shooting in Newtown, CT.
Catholic John Zmirak mulls over the issue of salvation. He isn't really sure about much, but he seems pretty sure the "monstrousness of the Calvinist God" is responsible for turning people away from the faith. "While Calvinism is not formally irrational, it is emotionally irrational." C. Michael Patton explains. A brief look at Evangelistic Calvinism: Why the Doctrines of Grace Are Good News, by John Benton. It has been my experience that those who are the most vehement in opposing Calvinism tend to be the most insistent in denying original sin. That's why we see statements like this: "Jesus did not have a sinful nature, so neither did we. Jesus lived a holy and sinless life and Jesus said come and follow me and He is our example to follow. ... The perfection that God requires is a perfection that we are capable of." 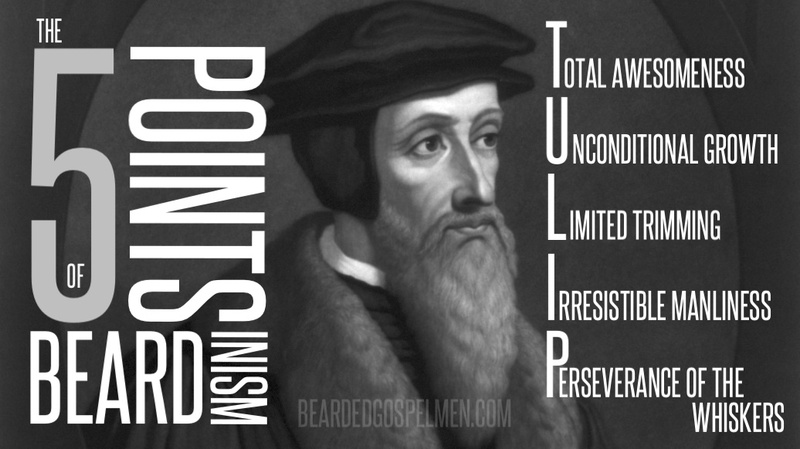 I ran across a Facebook page entitled The Errors of Calvinism. The following was posted: "This idea of free choice is woven throughout the scripture. Though God is sovereign, he has relegated his creation into the hands of humanity. Feel free to list your example." There are no examples listed yet. 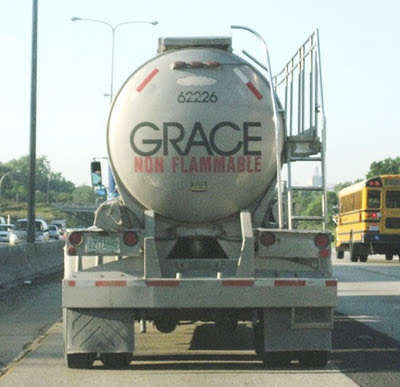 The Seeking Disciple may disagree with my Calvinism, but he doesn't think I worship a false god. Thanks, brother! Have you ever wondered what became of the innkeeper in Bethlehem who let Mary and Joseph have their baby in his barn? Did he have little children? When the soldiers came from Herod, did they hunt for the birth place of the dangerous baby and start the slaughter there? What did it cost the innkeeper to house the Messiah in his first hours? In the poem called The Innkeeper, I tried to imagine what might have happened when the soldiers came. And what Jesus might have said if he showed up 30 years later to talk to the innkeeper about it. It’s fiction. But its aim is truth and hope and joy. Desiring God and Crossway Books have teamed up to make a new video recording of my reading of this poem. We hope it will touch some deep place in your heart, perhaps through a wound. Maybe it will find its way into your Christmas family celebrations, or your small group, or even the gathered church. If you’ve ever lost a child, or ever faced a tragedy, just when you thought you were doing good, we hope The Innkeeper will bring you comfort and strength. In my experience poetry has a way of touching us sometimes when simple sentences don’t. In one sense, I hope you enjoy it. But there may be deeper emotions too. May the risen Lord Jesus turn your Advent and your Christmas into something really extraordinary this year.